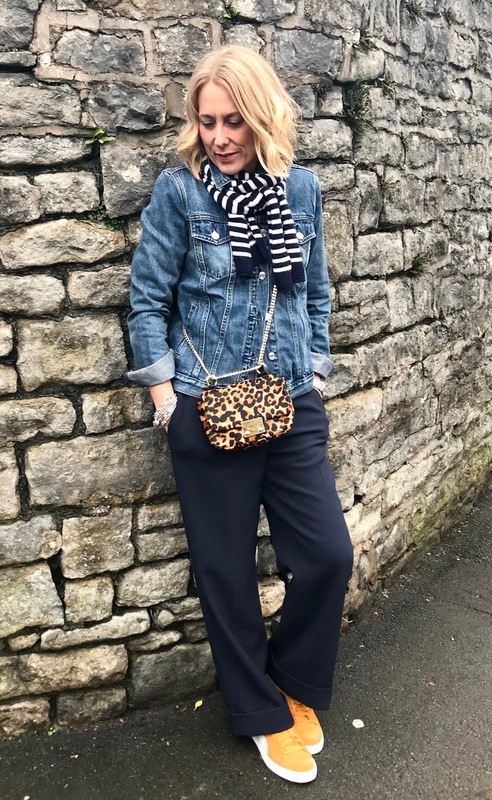 my top 5 jackets for spring! Ok, so technically I'm starting with a coat, but judging by todays temperatures we will be needing a coat for a good while yet.....it's been positively baltic hasn't it! Going forward these are the ones that'll you'll be seeing on repeat. I'm favouring the shorter more tailored style at the moment. I can get a few layers under everyone of these so a win-win while it's freezing. 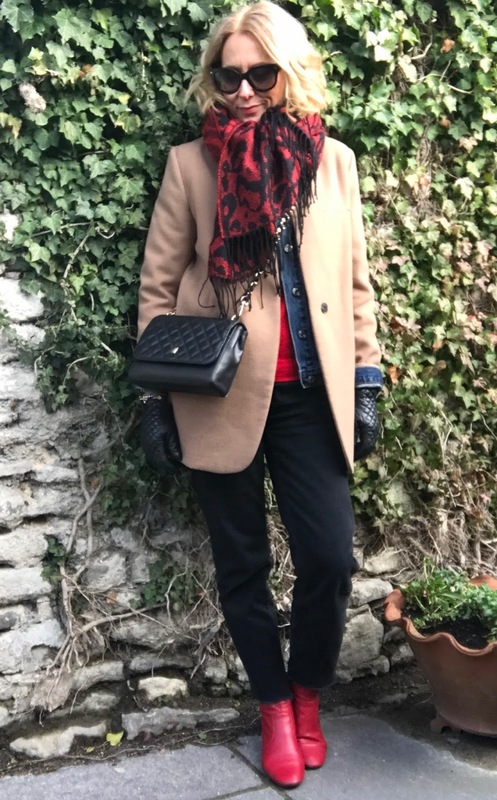 The red and navy coats are recent purchases and the camel and grey are a couple of seasons old so I've found some alternatives! Stradivarius red coat, only size large left. Great alternative here for £45! The Shackett has become a bit of a classic.....so much so I have 4 versions and I wear all of them. I can drag them at this time of year by wearing one of these underneath. They go with anything.....khaki is such a great neutral. Topshop, Gap and Urban Outfitters are the best for these and they tend to do them every season. These are all past season now so I've linked similar. The Shackett isn't the only style jacket that is duplicated in my wardrobe! I have 2 black leather bikers. The 3/4 length sleeve one on the right was possibly my best bargain ever. It's a Donna Karen sample that I found in T K Maxx a few years ago and is perfect for the lower temps in the Summer. The Whistles one was a recent investment as I felt I needed a more robust jacket for Spring and Autumn. I managed to bag the Whistles one with 30% off from Very Exclusive during one of their friends and family discounts. There's a time and place for both versions. Moving on swiftly to the wardrobe staple that is the blazer....it goes without saying that I have a few variations of those too! This little collection has also been built up over the past few years. 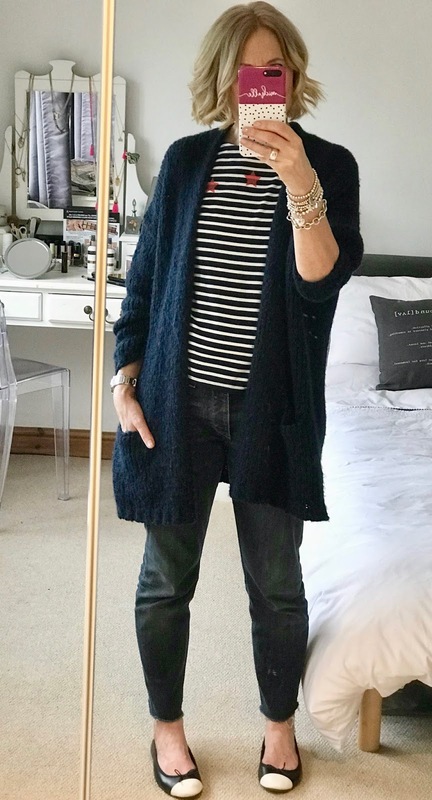 The latest addition being the H&M check blazer which was an Insta-Famous find (thank you Tracey!) which I was happy to score for all of 9 GBP's.....there was me thinking the check blazer would be a one season wonder but there are still loads on the High Street. I do love a good blazer with a tee and jeans. That's always an *if in doubt* outfit isn't it! Last but not least. The humble denim jacket. What can I say.......3 of these! But again, in my defence they are all different styles, shapes and shades. They all serve their purpose and place in my wardrobe. I've recently added the Gap mid-blue wash to this trio. I felt I was missing this classic and I wanted to wear it under some of the coats above. There is currently 35% off online with SHOPGAP (I had a 30% discount when I bought mine inshore last week.) The darker one is also Gap, bagged for a fiver on eBay years ago. It literally owes me nothing! The crop one is my holiday jacket, perfect for chilly evenings. A couple more Spring outerwear options worth a mention are a trusty trench and a lightweight parka (20% off promo ending today JAN20). So that concludes my favourite outwear options for Spring. What will you be wearing through to Spring? I'll be back at the weekend with my shopping confessions.......I'm also working on a post about my skincare regime so hope to squeeze that one in before........life permitting!